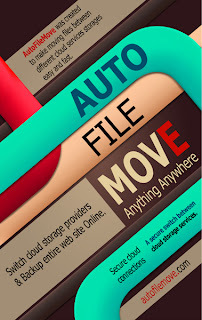 Auto File Move: How to transfer files from one ftp to another? How to transfer files from one ftp to another? 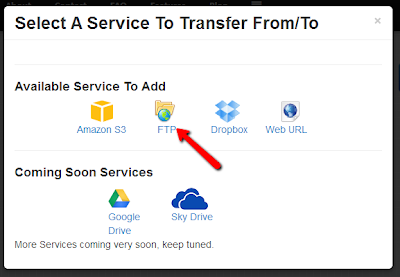 Next you have to connect to the source and destination ftp accounts, you can configure 2 different ftp servers or you can make the source ftp the same as the destination ftp if you want to copy files inside one ftp server. This will open a modal popup showing the available services to add, select ftp to configure. 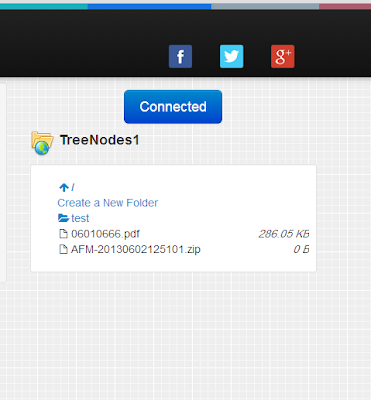 Another popup to put your ftp credentials. 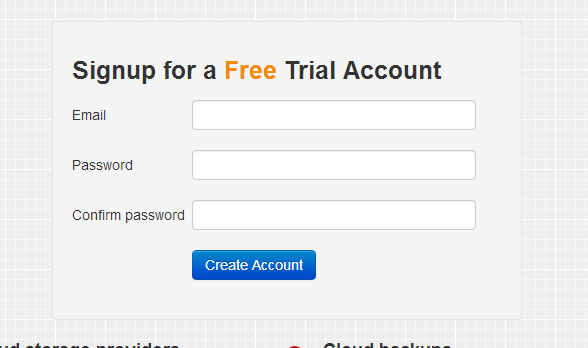 enter ftp account Username and Password. Click save changes to save the account and connect.If configuration success and AutoFileMove connected to the ftp account, FTP content should appear on the left hand panel. 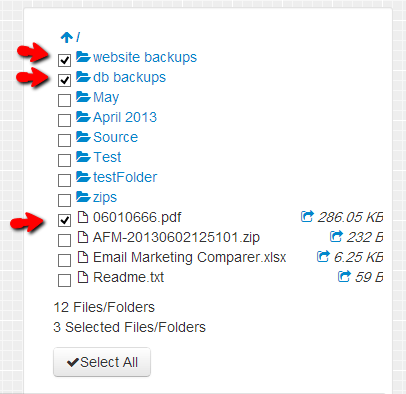 This panel will contain list of files of folder in the ftp server we just configured. 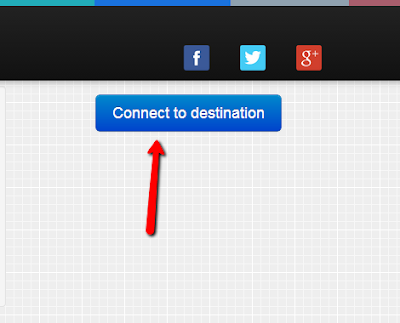 Now Click on the Connect to destination button on the right hand. 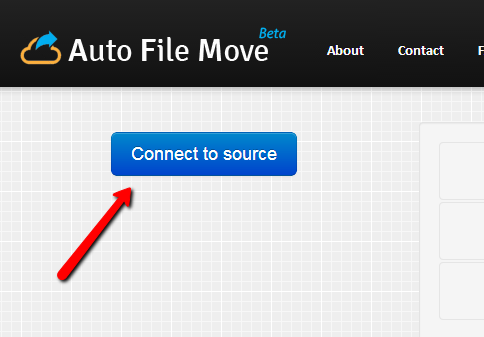 This will open the same Select Service modal popup, but this time you will notice that AutoFileMove saved the just configured ftp account and listed it in this popup to let you select and connect to it without configuring again. 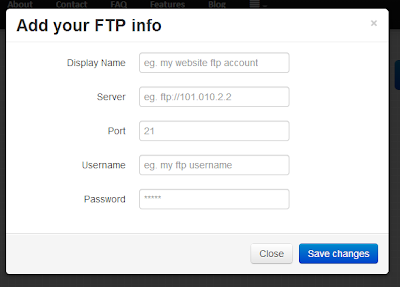 You can select the just configured ftp account, or click on FTP icon under the Available Services to Add to configure a new account. Configuring a destination ftp account will be exactly the same was as the source ftp account we just did. 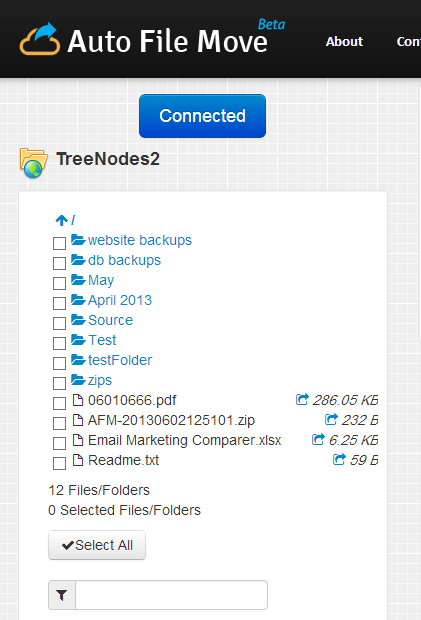 After connecting to the destination ftp account successfully its content will appear on another panel on the right hand looks nearly the same as the left panel for the source ftp content. Now we are done from configuring the source and destination ftp account, lets setup the transfer job. First you can navigate through files and folder under the source ftp content on the left hand panel then select files and folders you want to copy to the destination ftp. 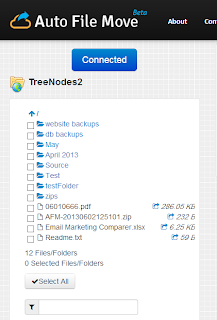 On the Destination ftp right panel, you can navigate to open the folder you want to copy files/folders to, you can transfer files directly to the root or you can create a new folder to transfer to. Then Click on Transfer Now link in the middle of the page. This will open the transfer options to setup, more about transfer setup. 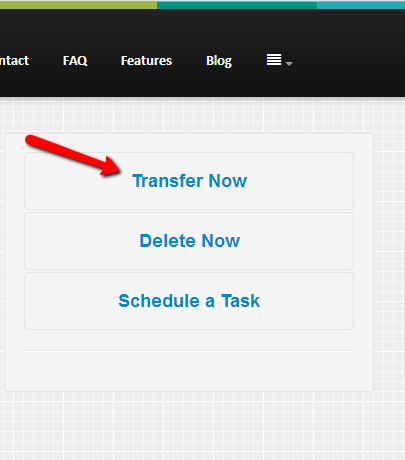 Setup you transfer based on your needs then click Start Transferring button, this will put your transfer job on the AutoFileMove jobs queue and will start transferring soon. 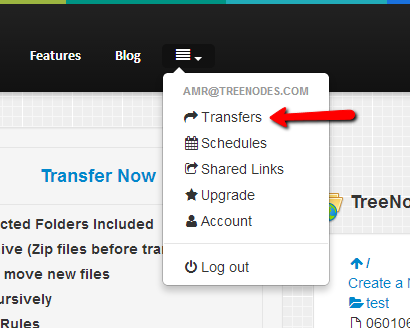 You can follow up and check your transfer status by opening the transfers log from the top menu. 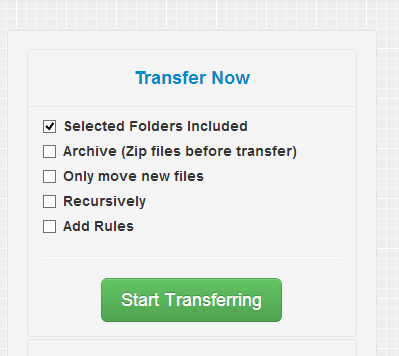 Based on number and size of files you are transferring and based on your transfer setup, it may take some time till AutoFileMove transfer all files and folders. 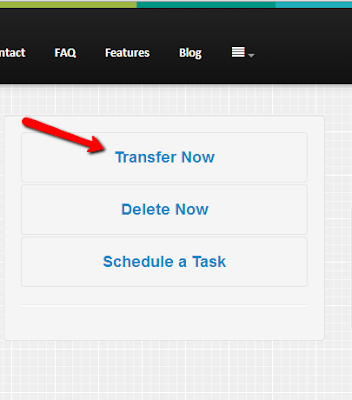 You can setup the same transfer job as we did but to run automatically based on a configured schedule by going to Schedule a Task link instead of Transfer Now link we used in this tutorial. More about Scheduling a task.